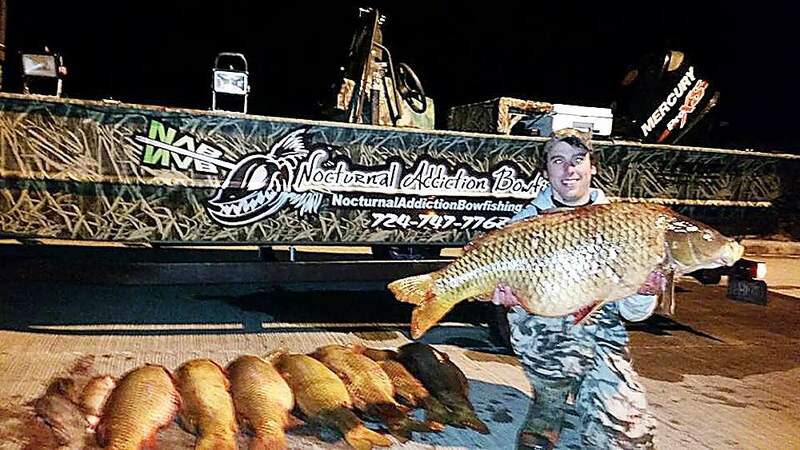 A Pennsylvania man who turned his bowfishing passion into a full-scale commercial venture can now add “state-record holder” to his business cards. Miller wasted no time sending the carp to the taxidermist. He told the Observer-Reporter that he plans to have an arrow impaling the mount. “You don’t hear of many people getting carp mounted, but I am,” he said. The current all-tackle Pennsylvania common carp record, caught in 1962 by George Brown, stands at 52 pounds, but Miller’s is the largest shot with a bow.